Me and MOH (Man Of the House) have once again attempted to garden. We have laid down mint, a lemon tree, a kefir lime tree, two magnolia type trees and three flowery ground cover type plants which name escapes me at the moment. If the plants do end up surviving then we will try and plant some vegetables and get the kids involved with that. The children didn’t show much interest in gardening with us but I hope that will change. 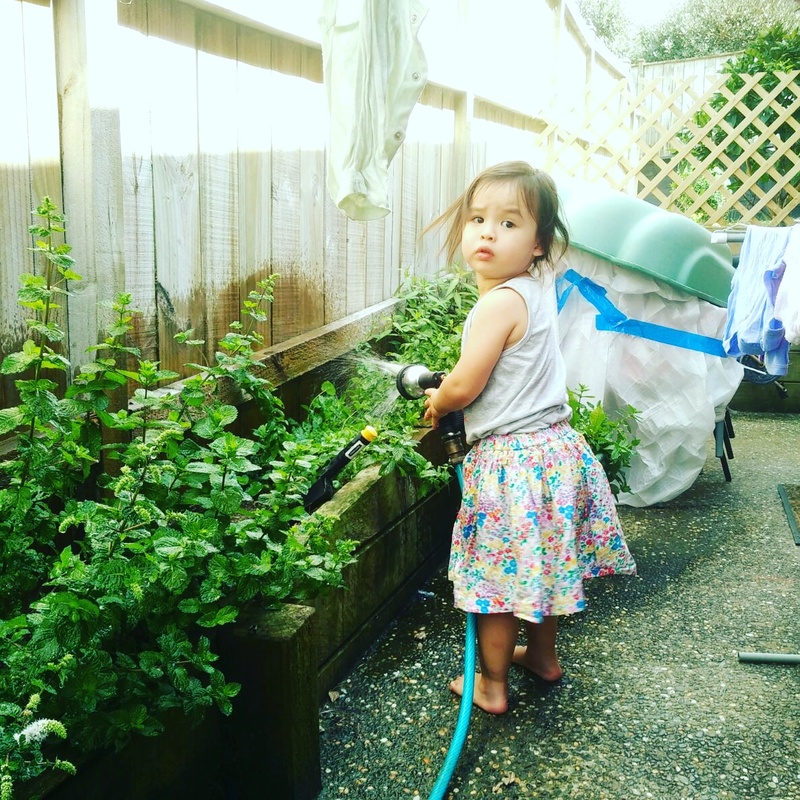 Gaby was enthusiastic enough when I called him over but he threw the mini shovel in disgust when I showed what I wanted to do I had a better chance with Ari who helped out with watering the plants. I’m hoping to plant a vegetable garden this spring as well!